Healthy eating can be a challenge for busy families, especially for those with children. Parents can encourage healthy food choices in kids using the strategies on the following slides. Read on to learn how national nutrition experts encourage kids to eat healthy foods and ditch the junk! 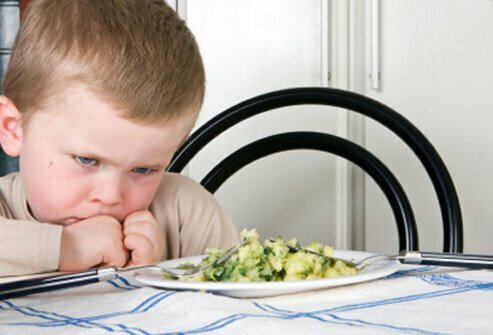 Power struggles with children over food are never a good idea, according to Jody Johnston Pawel, LSW, CFLE. Pawel is the author of "The Parent’s Toolshop." Authoritarian rules about food are rarely successful. It's more important to instill the rationale behind food rules. Once children understand the "why" of healthy eating rules, they will be more likely to make smart food choices lifelong. Sal Severe, PhD, author of "How to Behave So Your Children Will, Too," says asking children to help prepare meals is a good way to get them to eat better. Even young children can help with simple tasks in the kitchen that make them feel good about participating. 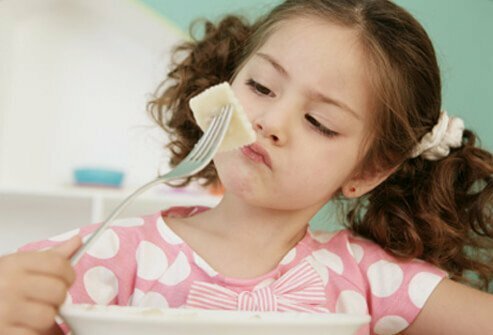 Children under the age of 5 are often picky eaters, according to Dr. Severe. Elizabeth Ward, MS, RD, says, "Being selective is actually normal." The better term for a picky eater is a "limited eater." 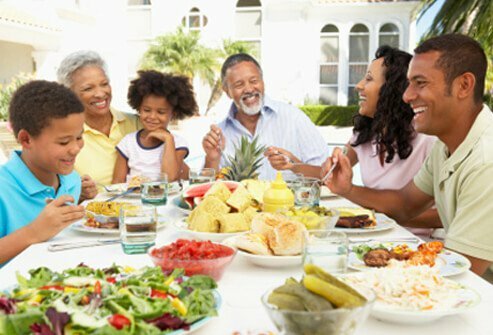 Ward says, "When I sit down with parents, we'll often find that their child actually does eat two or three things from each food group." The same way children enjoy hearing the same story over and over, they like certain "predictable" foods. Ward adds, "Even though they aren't getting a wide variety of foods, they are actually doing OK nutritionally." A good time to try to introduce new foods is during a child's growth spurt. Parents can use the child's increased appetite as an opportunity to try new foods. Your child won't try a new food? Don’t give up. Ward says it takes between 10 and 15 introductions to a new food before a child will accept it. Many parents give up too soon. Don't give up if your child just pushes a new food around his or her plate. There will be a day when your child takes a bite! Be careful not to introduce too many new foods too fast, advises Severe. Introducing one or two new foods per week is a good pace. Pawel advises against bribing kids with sweets to get them to eat something healthy. Children should be taught to eat well for their own health not because they'll receive a reward. Feeling good and being healthy is the real reward. Children may avoid trying a new food when they are full, according to Ward. "Kids can consume a lot of their calories as milk and juice." Snacks such as sweets, soda, and chips, provide little more than empty calories. "If you are going to offer snacks, make sure they are supplementing meals, not sabotaging them," says Ward. According to Pawel, parents should establish some bottom-line limits and be consistent to reinforce healthy eating in their kids. 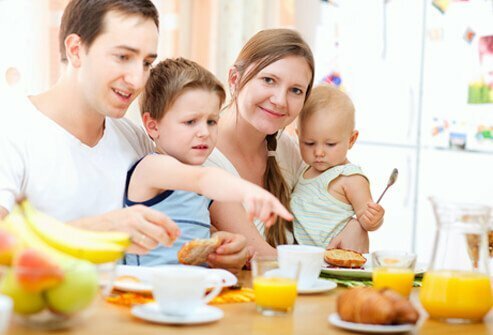 Parents may require kids eat healthy foods before eating snacks or they may insist children try at least one bite of a new food before dismissing it. Pawel adds, "Consistency only works if what you are doing in the first place is reasonable." Extreme rules about food, such as being too permissive or too controlling, are not a good idea. The best and most effective bottom-line rules are balanced and healthy. 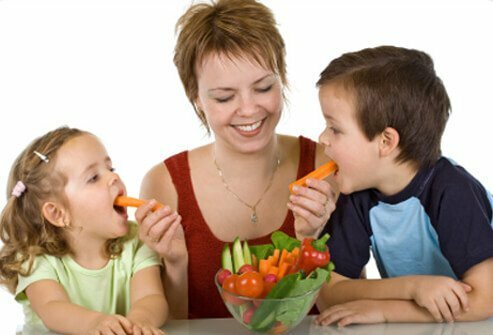 Leading by example is one of the best ways to reinforce healthy eating habits in children. "Do as I say, not as I do," is not the right strategy according to Pawel. Children will be more likely to choose salads over French fries when they see parents modeling healthy eating. The opposite is also true. 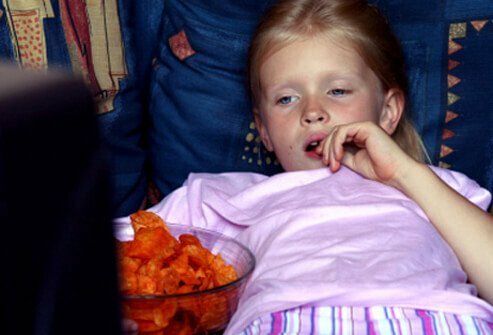 Parents who fill up on sugar, fat, and salt will have a harder time getting their children to eat healthy foods. Eating habits should not be discussed during mealtime, according to Ward. Minimize stress at mealtimes by talking about food choices at another time, such as during story time or bedtime. 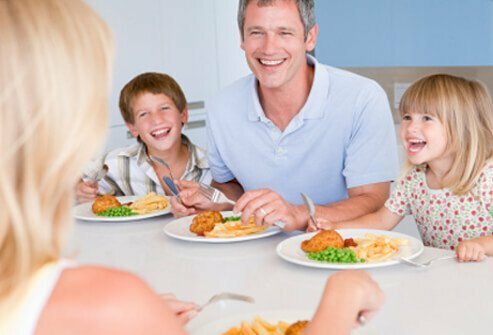 You do not want mealtimes to be focused on what your child does or does not eat. "I find that children become much more open to trying new foods after the age of 5," according to Ward. "Most of the time, kids will simply grow out of limited eating." 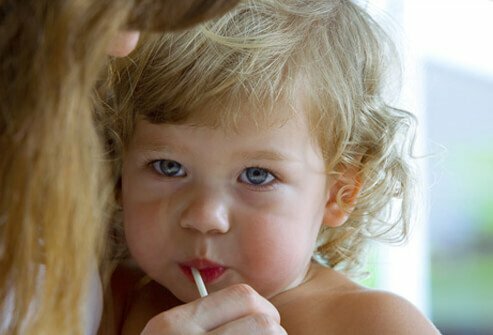 American Academy of Family Physicians (AAFP): "When Your Toddler Doesn't Want to Eat." 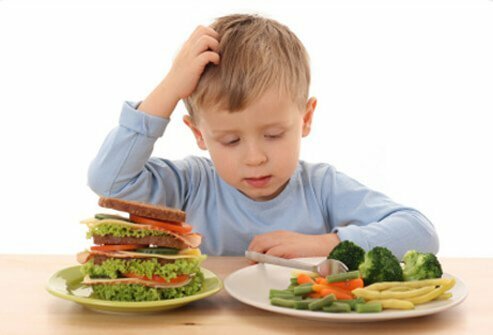 Kids Eat Right: "Why Is My Child a Picky Eater?" USDA.gov: "Healthy Tips for Picky Eaters."